We are in love with winter and all the cozy hours spent with ourselves. Learn how to get cozy, take a breath and leave all the stress behind with a few mindful rituals. 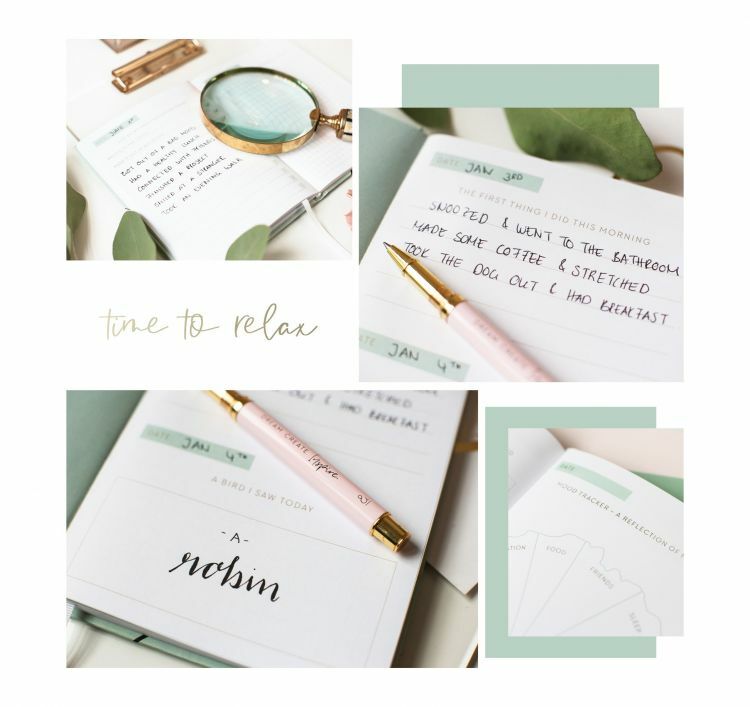 Let us show you how to end your days on a balanced and happy note with the help of our mindful evening routine and mindfulness journal! First things first: To get rid of the work feeling, get rid of your work attire and put on something much more comfy! No matter how cold the weather, let a breeze of fresh air into your home. As soon as there’s enough oxygen in your rooms, turn the heating on and choose your favorite playlist for a cozy winter night at home. Make yourself a nice cup of tea or enjoy a glass of wine. Head over to your favorite sitting area with your beverage now because it’s time to journal. 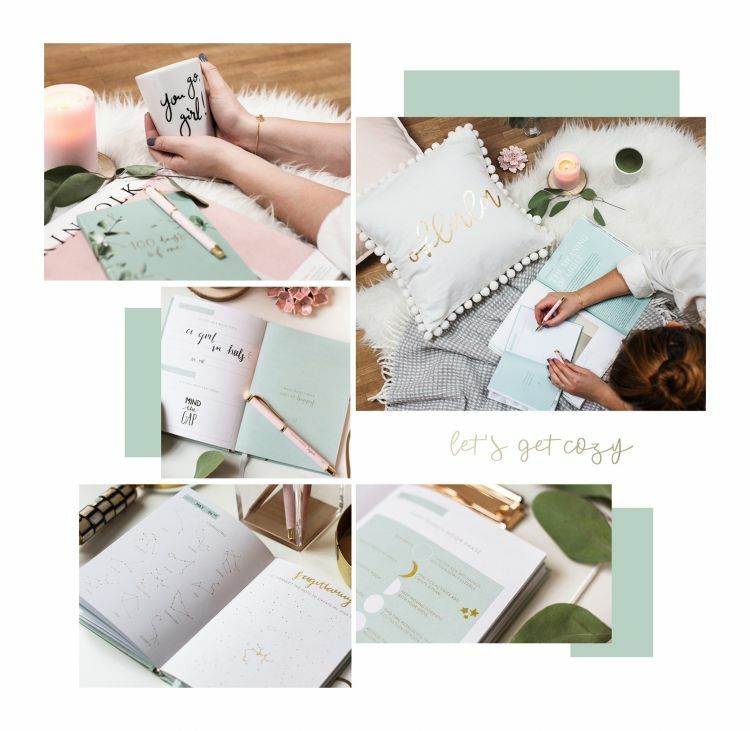 The mindfulness journal from our brand new mindfulness range is the perfect way to leave all the stress of the day behind. 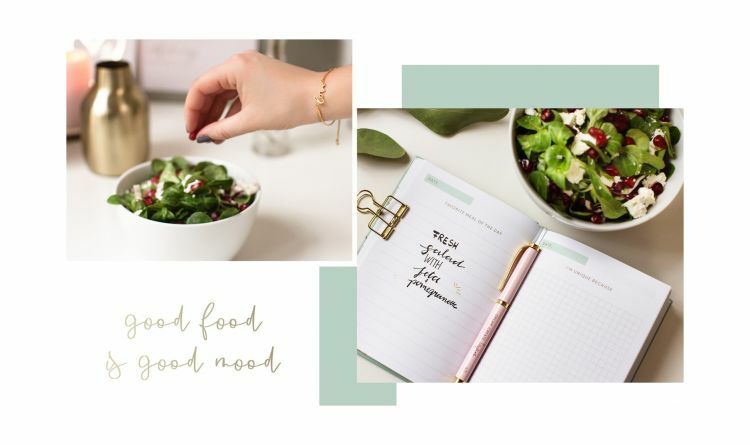 In it, you’ll find little tasks, questions and some food for your thoughts to document your life in a truly unique way. It doesn’t matter how neat or well formed you journal. 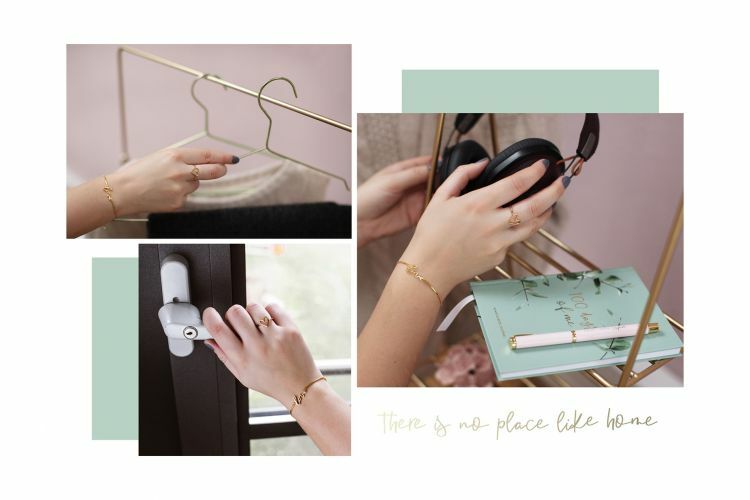 It’s all about finding the time to write down little snippets from your daily life, take a breath to think and reflect on yourself and the world surrounding you. Spend some time with yourself and your thoughts every day. Treat your mind and body to a home-cooked meal. The hectic of the workday has passed and there is no reason to rush your dinner. No matter your kitchen skills, with a couple of fresh ingredients and some dedication, you’ll create a delicious meal that you can be proud of. Enjoy the freshly cooked food without any mobile devices and have a chat with your partner or friends or grab a book. Let your evening come to a cozy end on your meditation or yoga mat, curl up on the couch or climb into bed. But before going to sleep, take another look at your mindfulness journal and go through your previous entries. What would today-you have written? Do you remember the moment you’ve answered that question? Did your view on the topic change? 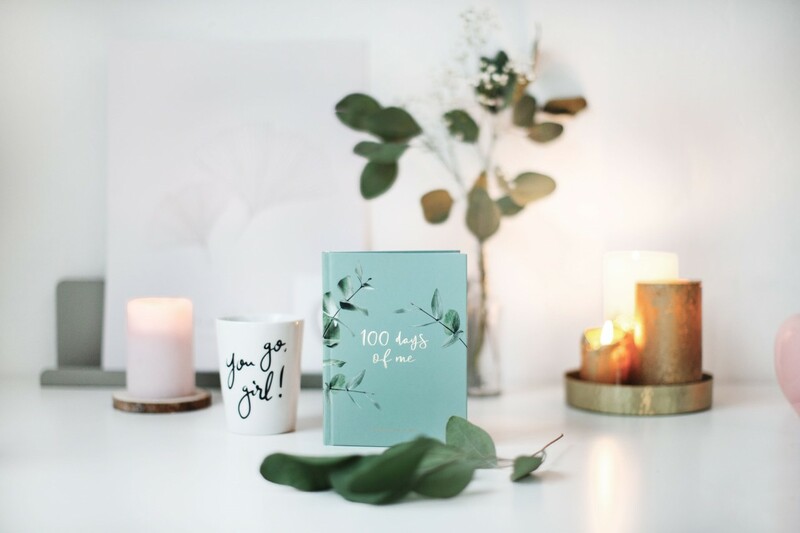 Start into the 100 Days of Me challenge with us and learn living more consciously!